This laxative medicine can be bought from pharmacies to treat constipation or may be prescribed by a doctor to treat a complication of liver disease. What is lactulose used for? Treating constipation. Lactulose may be prescribed by your doctor, but you can also buy it over-the-counter from pharmacies for this use. In higher doses, lactulose is also prescribed by doctors to people with severe liver disease such as cirrhosis. In this situation the lactulose is used to treat problems with brain function (hepatic encephalopathy and hepatic coma), which are a potential complication of liver disease. Lactulose is a type of medicine called an osmotic laxative. It works in the bowel and is not absorbed into the bloodstream. Lactulose relieves constipation by causing water to be drawn into the lower bowel. This increases the amount of water in the stools, which softens them and makes them easier to pass. It can take up to 48 hours for the lactulose to have an effect. In liver disease lactulose works by reducing the absorption of ammonia from the gut. The liver normally breaks down ammonia, but in liver disease such as cirrhosis the blood may bypass the liver, allowing this poisonous substance to pass to the brain. Here it can impair brain function, causing confusion, drowsiness and finally coma. By reducing the absorption of ammonia from the gut, lactulose helps prevent this complication of liver disease. How do I take lactulose? Follow the instructions given by your doctor or pharmacist regarding how much lactulose to take and how often to take it. The dose will vary from person to person depending on age and condition being treated. Lactulose can be taken either with or without food. However, if you find it makes you feel sick this can be reduced by taking it with water, fruit juice or meals. You can take lactulose undiluted, or you can mix the required dose of lactulose into a drink of water or fruit juice. Swallow each dose straight away. Don't keep it in your mouth as the sugar content may lead to tooth decay, particularly if you need to take lactulose for long periods of time. If you forget to take a dose of lactulose don't worry, just leave out the missed dose and take the next dose as usual when it is due. Do not take a double dose to make up for a missed dose. If your symptoms get worse or haven't improved after a few days of taking lactulose you should consult your doctor. Who should get medical advice before taking lactulose? Children. Constipation in children should only be treated under the supervision of a doctor. People who also have symptoms such as severe abdominal pain, feeling sick and vomiting, or rectal bleeding where you don't know the cause, as this could indicate that you have a more serious condition that needs investigating. People with a tear or abnormal hole in their gut (perforation). People with an inherited inability to metabolise galactose in the diet (galactosaemia). People who are allergic to any ingredient of the medicine. Check the ingredients in the leaflet provided with the medicine if you know you have specific allergies. Can I take lactulose while pregnant or breastfeeding? Lactulose isn't absorbed into the bloodstream and is not known to be harmful if used during pregnancy or breastfeeding. However, as with all medicines, you should get medical advice from your doctor before taking lactulose if you are pregnant or breastfeeding. Medicines and their possible side effects can affect individual people in different ways. The following are some of the side effects that are known to be associated with lactulose. Just because a side effect is stated here doesn't mean that all people using lactulose will experience that or any side effect. Excess gas in the stomach and intestines (flatulence). This usually improves after the first few days of taking lactulose. Feeling sick and vomiting. This can usually be avoided by taking the lactulose with water, fruit juice or a meal. Abdominal cramps and diarrhoea. These usually only occur if the dose is too high. Disturbance in the levels of electrolytes such as sodium or potassium in your blood may occur if the lactulose causes diarrhoea. This is unlikely to happen unless you are taking high doses for an extended period of time to treat hepatic encephalopathy. Can I take lactulose with other medicines? Yes - lactulose is not known to affect other medicines. 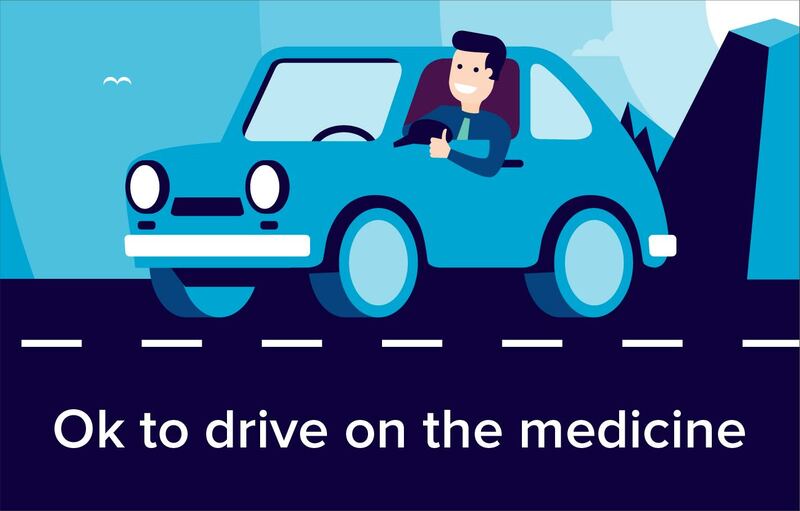 However, if you're buying it without a prescription and you're already taking any other medicines it's always best to get advice from your pharmacist first to make sure lactulose is appropriate to take alongside your other medicines.